…we find that the subsets of consumers who claimed to be switching exclusively for price reasons appropriated only between 26-39% of the maximum gains available through their choice of new supplier. While such behaviour can be explained by the existence of high search costs, the observation that 27-38% of the consumers actually reduced their surplus as a result of switching cannot. I’m not an energy economist, and am currently a bit short on time, so I thought I’d outsource discussing the new Greens policy on solar. As a matter of principle I see it as saying “consumers are credit constrained, the energy sector has issues of competition, and the installation capacity exists, given that government loans at a market interest rate (which we can quibble over) may help”. I have no real problem with that, although I’d like to spend time with the details. Why does the government think this will reduce competition? I’m not quite sure what is being said? Paying it back through rates, when it is a central government scheme, seems inelegant. Wouldn’t a more direct scheme where the government installs and then charges make sense. Given that, if solar is actually effective (hopefully it is getting there), why don’t we have someone in the market trying to lease panels – is the installation cost (given the capital) that much of a pain? 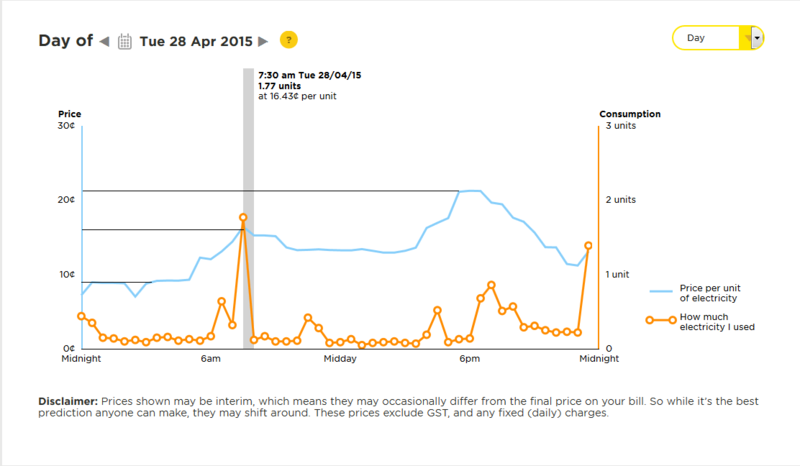 The question of feed in tariff prices, and how that actually works with the grid, is a damned hard one. Remember, people will be generating “excess power” at times of the day with low demand – the real big problem is storage! In some ways this feels like a policy trying to “tick a lot of boxes” at once – perhaps the best option would be to deal with perceived competition issues directly, if they exist. Credit constraints are an interesting one on a number of dimensions – I have some sympathy for the idea that lack of access to credit reduces opportunity, however how much of this is due to the fact that the type of lending is risky? I’ll leave my mind open to be persuaded either way on this, but when Meridian says there are problems with it (when they are one of the key players trying to get solar power working in NZ at the household level), I am uncertain about the scheme itself. Clint Smith discusses on Twitter. The Labour-Greens’ single buyer electricity policy has a problem. While it remains politically resonant with voters who perceive power companies as rapacious and inescapable, the American academic whose analysis is a key plank of the Labour-Greens NZ Power proposal says the Opposition parties have got it wrong. Not only that, but Stanford University’s Professor Frank Wolak – a top US electricity markets academic and one-time regulator – says that despite repeated assertions to the contrary, he never concluded that power companies here had ripped off consumers to the tune of $4.3 billion over the mid-2000’s. Unfortunately, that $4.3 b figure has been the smoking gun fact around which the political argument for the policy has been built. A very timely opinion piece in The Economist here on how energy policy should not be confused as with job creation. At the risk of being obvious: energy policy is not a jobs programme. Here are three reasons why politicians shouldn’t try to create jobs through energy policy: it’s ambiguous, it’s inefficient, and, most importantly, it’s undesirable. 1. What counts as a ‘green’ job, for example? Would that job have occurred anyway? Did the ‘creation’ of that job crowd-out another job? 2. The energy sector is typically capital intensive rather than labour intensive and hence efforts to ‘create’ jobs may be better directed elsewhere. 3. More important issues exist in energy, such as accessing cheap, sustainable energy and the security of energy supply – adding a further goal of ‘job-creation’ muddles this. Given job-creation via energy seems such a hot topic throughout much of the world right now due to weak economic activity, elections forthcoming in the US and NZ and ongoing concern with carbon emissions and a need to ‘green’ the energy sector, it’s worth keeping in mind these criticisms. Rising and volatile oil prices suggest that oil scarcity is a important issue. So what can be done? Personally, I think nothing – the price represents scarcity, and unless we think there are asymmetric information issues regarding the stock of fuel then this is fine. If we do believe these issues exist, then since fuel is a “non-perishable” we will see individuals/communities stockpile – again, there is no reason for government intervention. Or so I agrue here.